Enter Emerald City, situated in the heart of the Land of Oz where the Book of Oz slot takes place. Inspired by the Wizard of Oz story, Emerald City has a plethora of riches that could be yours if the magic of the Book of Oz is on your side. Powered by Microgaming, this 5-reel 3D video slots online has 10 pay-lines on offer. 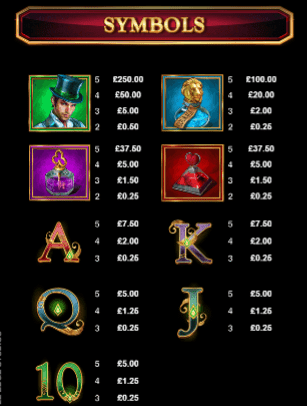 Just like most of Microgaming’s blockbusters, Book of Oz has some great in-game bonus features for you to take advantage of, such as: Regular Wilds, Re-spins, Free Spins Feature and Expanding Symbols. Deposit today and enjoy an adventure in Emerald City. Presented by the possibility of winning up to 5,000x your total stake in the base game, Book of Oz immediately grabs your attention. If it wasn’t the base game potential or bonus features on offer, the sparkling emerald city backdrop would draw you in. You can also check our guide with a list of the best UK slots online today. RE-SPINS – At the end of a base game spin you can choose to Re-spin the reel for the chance to hit a winning combination. Each Re-spin is offered to you at a cost and only one reel can be spun at a time. Only wins that involve the reels that have been re-spun are paid. This feature is only active during the base game. FREE SPINS FEATURE – Trigger this feature by hitting 3, 4 or 5 SCATTERS to receive 10, 12 or 25 Free Spins respectively. During this feature, the Expanding Symbols feature comes into play. At the start of the feature, you’ll be awarded a random special symbol. The special symbol expands to cover an entire reel and will pay-out when matched symbols land anywhere on a line. It will only expand when a win can be completed. Book of Oz is undoubtedly an entertaining slot that is perfect for avid Wizard of Oz fans. 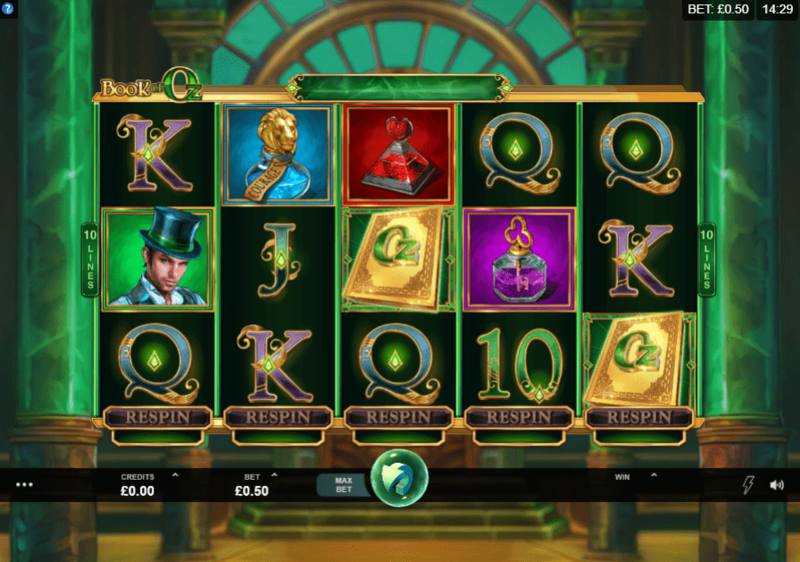 The emerald green backdrop is beautiful and makes the game board much more appealing during real money spins.